We’re in Kanab tonight, celebrating the holidays in southern Utah style! 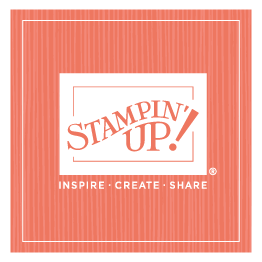 Earlier today we held our annual Holiday Celebration here at our Kanab facility for our Stampin’ Up! family. Much of it was a repeat of yesterday, which was intentional, of course. We want all our employees to hear the same message of congratulations on being where we are and let’s get excited about where we’re going! We also wanted them to have their own box of handstamped, handmade cookies! There were several things that stood out today though. First, we had the entire Corporate Team here for the first time that I can ever remember! We have had several members together before but I don’t think we’ve ever had everyone together, and it was a treat to be able to have our Kanab employees see the entire group. We also recognized our Kanab employees who had reached their 5-, 10-, and 15-year milestone. Again, what a wonderful treat to be able to thank these amazing people for all they do—PLUS I got some more holiday hugs! Another fun thing for me has been the beautiful weather. We’re battling an inversion up north, but down south the sky is blue, the weather is crisp but not too cold, and I’ve loved seeing the sky! Finally, one significant difference between our Riverton and Kanab Holiday Celebrations is the potluck lunch. Because our numbers are smaller here in Kanab, we are able to have an informal lunch as well. Everyone brings something, and it’s fun to taste a little of everything. . . ..
And I was particularly excited to find out that she’d actually made two rolls this year. . . and she gave the second one to me personally! I might share it with the kids when they get down here, but they’d better hurry! I am excited to have most of the family coming down tonight for Mom Pat’s annual Christmas party this weekend. It’s been several days of holiday festivities, and we’re not done yet! I’ll post about Mom Pat’s party later. . .